Long story short, we’re in love. I know it seems sudden but life is sudden like that, you know? 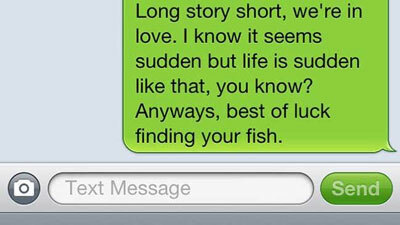 Anyways, best of luck finding your fish. Created about 5 yrs, 4 mths ago (December 19, 2013). Updated about 5 yrs, 4 mths ago (December 19, 2013).